Mark Lim has been a specialist in construction law since 2001. Furthermore, he is well versed in tendering law and other real estate law related areas. Mark advises, acts and litigates for his clients. He has a wealth of experience in the areas of groundwork, road construction and waterway construction as well as civil and utilities construction law and litigates in diverse construction disputes (including disputes on losses due to delays, premature termination of works and completion). As litigator, he supports his clients in proceedings before the courts, up to the appeal courts, and in arbitration (Arbitration Board for the Building Industry, Arbitration Institute for Construction and the Netherlands Arbitration Institute). Mark advises on various types of contracts, such as traditional and integrated building contracts (D&C, DB(F)M(O), turnkey), advisors’ agreements, coordination agreements and framework agreements. His clients consist of (listed) construction companies, purchasers, advisors, architects, project developers and housing corporations. Mark has been a partner at Legaltree since September 2014. 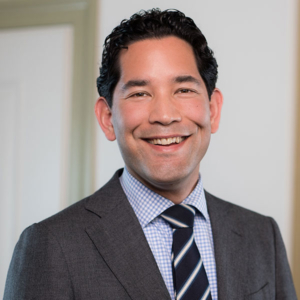 From 2010 to 2014, he practiced as a partner in construction law at BarentsKrans N.V. Before that, he practiced as construction law lawyer at CMS Derks Star Busmann N.V. and Severijn Hulshof Advocaten. Mark graduated in Netherlands law at Utrecht University. In 2011, he successfully completed the Specialist course in private construction law at the Association for Construction Law Lawyers (VBR-A/IBR).